Washington (CNN) - House Veterans Affairs Committee Chairman Jeff Miller says the response by the Department of Veterans Affairs to a subpoena from his committee over allegations of deadly health care delays has been "very weak" and "unacceptable." The Florida Republican told CNN that if the embattled agency doesn't provide more details about the information sought earlier this month, the committee could move to hold the VA in contempt. "It baffles me that they have 30 individuals working full time on the subpoena and they can only get 201 emails," Miller said. He said the VA informed the committee it would send materials in "a rolling block," but he strongly rejected that approach and sent Secretary Eric Shinseki a letter on Monday pressing for more information on the documents. The VA is under fire over allegations of deadly patient wait times and a cover up at its hospitals. 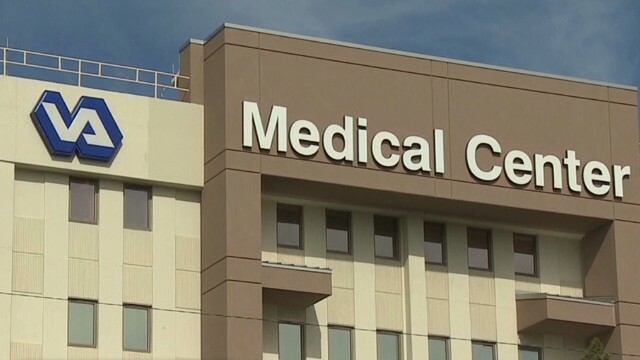 Last month, CNN revealed that at least 40 veterans died waiting for appointments at the Phoenix Veterans Affairs Health Care system, according to sources inside the hospital and a doctor who worked there. Many were placed on a secret waiting list, the sources said. The House subpoena included a request for e-mails about allegations around the list. Phoenix VA officials have denied any knowledge of a secret list, and said they never ordered any staff to hide waiting times. The top Democrat on the House committee, Rep Michael Michaud, a Maine Democrat, also told reporters that both sides are frustrated with the response so far. "We do not want to give them more time if they don't need that time – if this is in fact is a delay. There has been a credibility problem within the VA and that's one of the reason why we're concerned," Michaud said. Miller said his committee is hearing from whistleblowers at various VA facilities about more deaths they claim are due to an inadequate system in place to schedule medical care. But he declined to give a number, or whether the committee has been able to verify the reports. In response to Miller's comments, the VA said in a statement that it began turning over documents, as promised, on Monday and would "continue providing information on a rolling basis," noting that it was a "customary practice followed by executive branch agencies when responding to a subpoena, and consistent with the subpoena itself." The statement said the agency has devoted "significant resources to the effort," which includes sorting through email records. Miller said he has not heard from Rob Nabors, the top Obama administration official recently tasked with addressing the response to the scandal. "He's the guy they brought in to control the spin from the central office – purely was put in there from the White House because it was spinning out of control," he said. Separately, the White House said on Tuesday that Nabors will head to Phoenix to interview the interim director of the Phoenix VA office and others associated with the office. Miller said he's not planning to call Shinseki to testify, saying his testimony before a Senate panel last week was "not worthy of second appearance." Shinseki told the Senate Veterans' Affairs Committee that he was "mad as hell" about the allegations against the VA, and had no plans to resign. He urged lawmakers to wait for the results of an inspector general investigation before reaching any conclusion about the matter. Millar reiterated his call for President Barack Obama to get more personally involved in the addressing issues with the VA.
"I've been asking the President to get involved for three years. This type of problem demands leadership from the top – it's been lacking. I don't think the President thinks this is important and I think the American people are going to show him how important it is because of the outrage that they have been expressing," Miller said. White House Chief of staff Denis McDonough met with House Democrats at their weekly caucus meeting on Tuesday, and told them the administration is doing everything it can to get to the bottom of what happened at Veterans Affairs. Shinseki and other administration officials are pointing out that many of the problems began under President George W Bush. But Miller noted that when details emerged about conditions at Walter Reed National Military Medical Center and the treatment of veterans there several years ago, Bush acted quickly: "A secretary of the Army, the Army chief of staff, and the head of Walter Reed all gone." Miller and Michaud plan to meet Tuesday to discuss next steps, but asked if he may hold Shinseki in contempt, Miller told CNN "if you don't comply with a subpoena that is certainly an avenue that you can follow." Hey Mike-Speaking of memos from one Administration replacing another,wasn't there a memo(PDB) entilted "Bin Laden Intends to Attack Inside America" which even mentions hijacking jets & crashing them into buildings? Wasn't that the "Memo" George W. was photographed leafing through in Mid-August 2001 with his legs crossed wearing Cowboy Boots while sitting on the porch at "The Ranch" in Crawford, TX ? Sonny chapman...Sure saying it must make it true. Yeah......thats the ticket!